Bath Towels are a necessity in any hotel and in most rental properties. 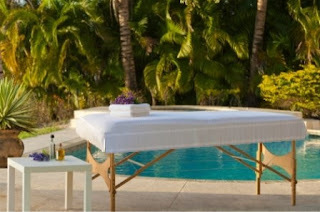 The quality of the towels is going to have a real impact on the experience of guests. Several tips will help when picking wholesale bath towels for a hotel or other property. The best towels for a hotel or rental property contain cotton. This could be a pure spun cotton weave or a cotton-poly blend. Cotton has the primary advantage of durability. It will easily withstand constant laundering without tearing or other problems. Another benefit is that cotton is incredibly soft and comfortable. Guests will notice the difference in quality when using 100 percent cotton bath towels. A final benefit is that cotton can be a selling point in advertising for the property. The reality is that wholesale white towels are the easiest to deal with when compared to other colors. This might seem counter intuitive to some people. One of the main reasons that white towels are easy to deal with is because they are simple to launder. They make it possible to use a variety of bleach products or other strong cleaners to remove even the toughest stains. Another point to consider is that white bath towels are easy to match with any type of decor. It will help to look closely at the borders of bath towels before making a wholesale purchasing decision. There are two primary choices. Dobby borders have intricate design work inside. These borders can add a level of elegance to the property. They do not match every environment, however. Cam borders are tightly woven and flat. They are a type of generic border. Cam borders are more durable, but look plain. Try to get a variety of sizes when ordering wholesale white towels for the property. It is going to be easiest to decorate and accommodate guests if different sizes are readily available. Consider getting accompanying white cotton hand towels and bath mats. There are even large and premium sized white bath towels that can be useful in certain situation. Keeping a variety of sizes on hand will give everyone more options. The massage industry, previously reserved as a luxury for the wealthy or used as a means of physical therapy for those suffering from chronic pain, has seen a sharp increase in popularity in recent years. It seems as though everyone from the barista at the coffee shop to the personal trainer at the gym has their recommendations for where to go and who to see to get the most relaxing and efficient experience available. However, it isn't all about having the right touch - ambiance is just as key to achieving a consistently satisfied clientele, as is comfort level. Microfiber massage sheets can play an enormous role in that sense of tranquility, with a softness and durability unmatched by other materials. Microfiber is a tightly woven material created to be as tough as it is silky to the touch. Its rarity is in the breathability of the fabric, tailored to be used in the hottest of conditions while still maintaining a dry and gentle environment for the skin. Microfiber sheets can be laundered with ease, made to endure frequent washing and drying at a rate much faster than their competition, while boasting a smoothness comparable only to the most expensive cotton options. They also come in a variety of sizes, so it isn't difficult to find one that will ensure the utmost privacy and coziness for clients of any body type. While honing the skills it takes to perform expertly massage therapy is a task in and of itself, it is equally important to pay due attention to the materials used during the process. Oils are selected with care, some debate whether soothing music should be played or candles should be burnt, and others strive to make the massage table a truly comfortable respite from the pressures of daily life. Microfiber sheets are a cost-effective and seemingly simple addition that can help to achieve this, and although it may seem a minute detail, it is one that can certainly make all the difference. Any business owner who handles bedding knows that clients expect everything to be clean and in good repair. Nothing will make them question the quality and cleanliness of an establishment like frayed, stained, or thinning sheets. The successful hotelier or massage therapist will find bulk sheet sets that stand up to constant use and washing while still looking fresh time after time. Microfiber is an excellent choice. It gives the soft touch and feel of a luxury sheet at an affordable price. More importantly, they remain fresh after years of use. The fabric is naturally less susceptible to wrinkles, and it dries much faster than cotton. As the name implies, the threads that make up microfiber cloth are very small. They would be difficult to count, so instead of thread count, microfiber is graded by gram weight or GSM. Once woven it is thoroughly brushed twice to soften the cloth and allow it to breathe. Some people still prefer cotton. It is proven to be sturdy and comfortable. Linens should consist of at least 150 thread count. Sheets with 200 or 250 thread count will be noticeably softer and more durable, but they also cost much more. It is possible to find cotton that is "crease resist finished" to prevent wrinkles and eliminate the need for ironing. Many customers appreciate "green" products such as Eco-Smart linen. Filling is created from polyester fiber that has been spun from recycled plastic bottles. Using Eco-Smart pillows can increase a business's environmental profile and keep more trash out of landfills. Besides material, there are many features that will make working with the sheets much easier. Everything looks the same in the wash. It can be hard to distinguish between different sizes off sheets, and working it all out can waste time. It helps to find sheets that have the size and other information listed on large labels. Price is an important part of any purchasing decision, but it shouldn't be the deciding factor. When choosing bulk sheets, it is important to consider quality, material, and design as well. Few investments make a house feel like home more than quality bedding. Sheets, in particular, make the biggest difference. One can save a bundle by buying wholesale luxury sheets in bulk online. The following factors should be considered carefully when shopping around for the best sheets available. Whether fitted or flat, a sheet that's too big or too small for a bed isn't going to provide a good experience. Relying on standard sizes like double and queen isn't always wise. It's best to measure the length, width and depth of a mattress to be sure. There are essentially two materials used in luxury sheets: high-end cotton and microfiber. Cotton comes in a variety of types such as Egyptian, Pima, and Standard. Microfiber sheets are composed of polyester. The best luxury sheets are a blend of cotton and microfiber material. Another essential consideration to mull over when buying luxury sheets is the specific weave that they employ. Common weaves include percale, sateen and combed the cotton. A sateen weave usually results in an extremely soft sheet that's more prone to tearing. Percale sheets can be nearly as soft but far more resilient. While many sheet manufacturers use high thread counts as a selling point, it's not always the most important factor. Even sheets with a thread count in the 100 to 200 range can be incredibly soft and luxurious if they boast a quality percale weave and a cotton/microfiber blend. Finally, there's the matter of finish. Many sheets are treated with chemicals such as chlorine or silicon before being shipped out. These treatments typically affect sheen, prevent shrinking or reduce wrinkles. People with specific allergies or sensitive skin may want to opt for untreated, all-natural sheets. If you own a restaurant or hotel, chances are you need to buy many wholesale white towels at a reasonable price. Customers form their impressions of your business within the first few minutes of arriving at your place. If you do not have clean, white towels ready for your guests, then this can negatively affect their opinions of your business. In the hotel industry, there should be extra towels in every guest room. Buy the best quality of towels you can afford. If you are interested in starting your own hotel or restaurant, there are many supplies you will need to buy at wholesale prices. In the restaurant business, cleanliness and good food are the two most important aspects to attracting customers. You should also have a marketing plan that includes a variety of advertising mediums. The location of your restaurant is an important factor in your success. Choose a location that is close to businesses. Restaurants that are located in commercial areas are typically closed on the weekends. Restaurant customers who visit your business during lunch time need to be served within a reasonable amount of time. If your restaurant is open during the weekends, then timely service is not as important. People who eat lunch at restaurants are in a hurry and do not have time to sit around and chat after lunch. Hire an extra cook and wait staff during your peak hours of business. Pay your staff a reasonable wage to keep them from leaving. It cost more money to replace existing staff members than to increase the wages of current employees. Word of mouth is an excellent form of free advertising. Hotel owners must plan to be open throughout the year. Launch an online marketing campaign that will reach many people throughout your area. You can also target potential customers through promotions and special discounts. Social media advertising is a popular way to get the word out about your hotel without spending a lot of money. Research your competition and price your rooms slightly lower. Good customer service can make or break a hotel. Hire experienced staff members who are cheerful, honest and outgoing. Purchasing wholesale kitchen towels and potholders can be helpful for many different types of businesses. Many dining establishments, hotels, care facilities and hospitals make these types of purchases regularly. 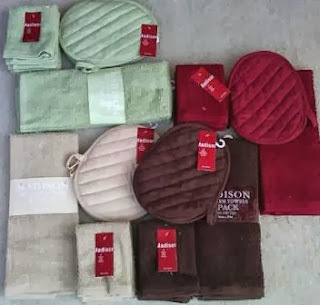 People who are looking to buy wholesale kitchen towels and potholders should focus heavily on quality and durability. Kitchen linens are at their most effective when they can stay smooth after they're used. Not only is it important for these linens to stay smooth and soft in texture, but it's also important for them to be highly absorbent. Kitchen towels come into contact with a lot of water on a daily basis. Wholesale kitchen towels are often made out of pure cotton. Pure cotton towels are notable for their strength, durability, and smooth feels. People who are buying wholesale kitchen towels for their businesses should carefully consider how the products look. Many people appreciate popcorn terry weave designs, although there are many diverse choices available. Kitchen towels are often manufactured in earthy colors such as taupe (dark tan) and chocolate brown. Potholders are also commonly made out of pure cotton. They frequently feature memorable designs such as diagonal stitching. Like wholesale kitchen towels, wholesale potholders are usually made in taupe and chocolate brown colors. They generally are square in shape. If a professional from a business is looking to buy kitchen towels and potholders in bulk, he should take specific amounts into consideration. For example, wholesale kitchen towels are often available for sale in cases that are made up of 96 individual items. That means that the individual kitchen towels cost $1.55. On the other hand, wholesale potholders are also often available for sale in cases of 96 total. This means that the individual potholders cost slightly less than the kitchen towels at $1.50. Spa bathroom rugs are made in many diverse styles. They're commonly made out of microfiber, a type of synthetic fiber. Many people appreciate rugs made out of this material due to its softness. The texture is somewhat similar to that of cotton. 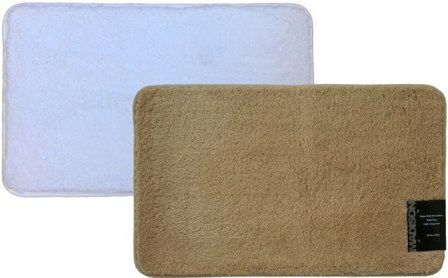 Although microfiber bathroom rugs feel cozy and relaxing to the touch, they're also extremely tough. Microfiber is popular due to its ability to handle wear. If an individual is interested in purchasing a rug that won't wear down easily, then microfiber might just be the ideal material for his preferences and needs. Microfiber rugs can often last for years and years at a time. If a bathroom rug is made out of 100 percent micro fiber, then it will have a smooth texture. It will also be, conveniently enough, machine washable. People who don't want to have to worry about washing their bathroom rugs might be good candidates for purchasing microfiber rugs. These rugs are in no way high maintenance. Keeping them in good condition generally is an easy and straightforward process. Many spa bathroom rugs are equipped with extra conveniences. Non-skid latex backing is just one specific example. This type of latex backing is beneficial as a security measure. It helps ensure that these bathroom rugs stay put on damp and slippery bathroom flooring. These bathroom rugs are available in different sizes. A standard size is usually about 21 inches in width and 34 inches in length. On the other hand, Small size is usually around 20 inches in width and 30 inches in length. These rugs are often available for sale in convenient case packs. Standard rugs can often be bought in case packs that consist of 12 in total. Small rugs can often be purchased in case packs that consist of 24 in total. Establishments that operate hospitality-related businesses know how important it is to have a good supply of linens on hand. The industry demands quality purchases for less, so it helps to have a reputable supplier. 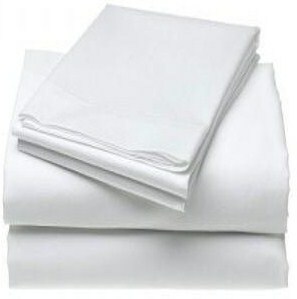 One of the best ways to make sure they are available when needed is to order the linens in bulk. There are several benefits to this. As opposed to retail purchases, wholesale buying is one way to ensure the right matching colors and designs. The coordinated selections enhance the esthetics of the environment, which is one of the first things that captures a person's attention. Whether it is a hotel, hospital, spa or wherever matching linens are used, people are drawn towards an outstanding presentation. This captivating experience is what helps to create a pleasant and enjoyable stay. There is no need to spend the company's money buying retail, and from separate distributors. It is proven good business to buy items in bulk for economic reasons. It saves money because the supplies cost less, and it saves time because less effort is spent on re-ordering. When the cost of shipping is free, businesses can better capitalize on the financial aspect of operation. Purchasing linens wholesale means that there is no need to shop at different locations for the same items. Once a good supplier has been established, business operators know the level of products they will receive. The convenience of ordering quality items from the same distributor serves as an asset to businesses because they do not have to exhaust their supplies. Depending on the services offered, operators have better options when they order linens wholesale. To suit the individual business' decor, suppliers usually offer a wide selection of materials and styles. Whether it is comforters, sheets, pillowcases, shams, bed skirts or other accessories, buying linens in bulk has its advantages. This practice enables businesses to operate more smoothly because it eliminates shortages of supplies. Since the orders have to be shipped, they are likely to arrive on time and in good fashion.